Home » Revealed: The best hotel location in Paris! 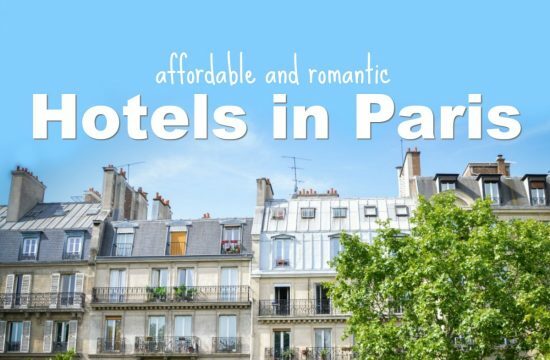 Revealed: The best hotel location in Paris! Even though Paris is not as gigantesque as New York or Bangkok, it’s almost an equal challenge to find the best area to stay in. 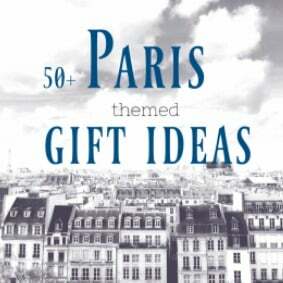 The struggle is real, there is just too much choice and it’s not getting better if you don’t know Paris, yet. To be fair, Paris is compact enough that you can’t do too much wrong in the first place. Thanks to the excellent Metro system, you can move quickly around and it’s basically impossible to be lost in the middle of nowhere. However, there are neighbourhoods that are more convenient than others and even within neighbourhoods one street can be great and the next one.. well not. So let’s answer the most important question for everyone who’s traveling to Paris: What is the best hotel location in Paris? 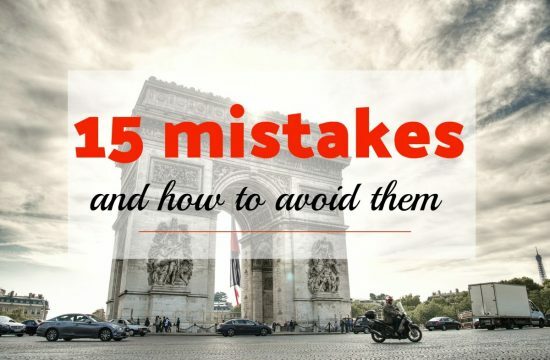 I put together a top 3 list of areas to stay in in Paris. Main criteria for this selection is the proximity to sights and transportation, restaurants and bars within walking distance, safety and very important: flair! Montmartre is a hill in the 18th arrondissement of Paris hat is mainly known and famous for it’s artistic history. During Belle Époche, many artists had studios in the area, or worked close by, including big names like Monet, Renoir or Van Gogh! Even though those times are long ago, the artistic spirit remained. 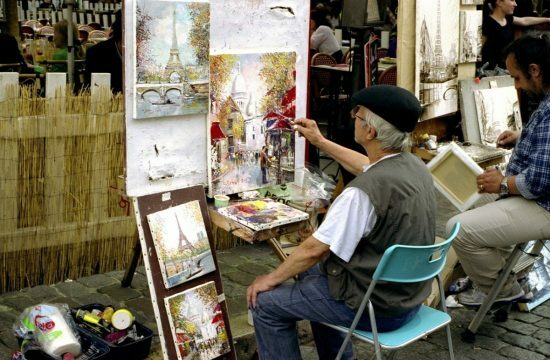 Montmartre is home of many art galleries, studios and museums. Around the Place du Tertre painters are still gathering and offering their services to paying clients. Best hotel location in Paris: Montmartre! Is Montmartre one of the best hotel location in Paris? Definitely. Montmartre is one of those places in Paris, that really looks like.. Paris. The Paris you know from romantic movies and posters. A Paris with tiny alleys, cobbled stoned streets, romantic squares, stairs and a beautiful view. A part of Paris that did not change much during the last century and if you’re searching for the flair of past times, you find it here. Don’t miss our massive Montmartre travel guide!! Montmartre is also a place where you can visit some of Paris major sights – the Basilica de Sacre Coeur is within walking distance, so is the famous Place du Tertre (painters square) and the Moulin Rouge. 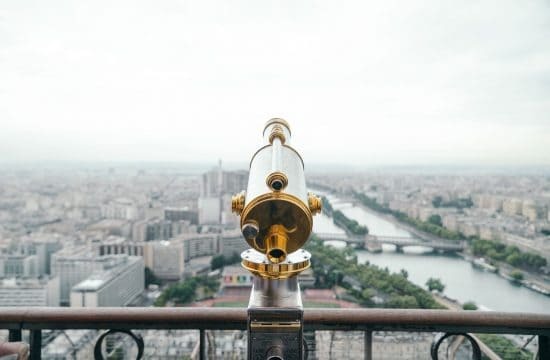 If you’re Hotel is in Montmartre, you definitely should take a night excursion around the neighbourhood – it’s magic and he view over Paris by night is breathtaking! If you want to make sure not to miss anything in Montmartre, check out those guided walking tours! Those tours lead by a local are great to get the extra pinch of info to really explore an area. Click here for more info! 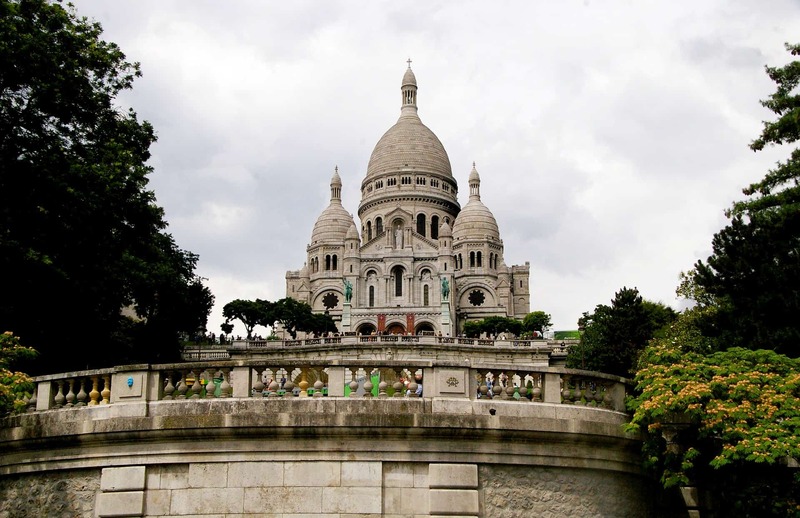 Sacre Coeur is the highlight of Montmartre. The basilica on top of Montmartre is a beautiful building, but the real highlight is the view you get from up there over Paris – it qualifies for being one of the best places to stay in ParisWell, Montmartre is also very touristic – that means many restaurants, bars and shops, but also crowds and scams. However, ignore the folks that try to give you a friendship bracelet or involve you into shell games; if you walk firm past them, they will leave you alone. But Montmartre is not only a touristic hotspot: especially the west and north is rather quiet and dominated by locals. 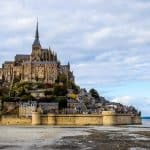 Thinking about staying in Montmartre? 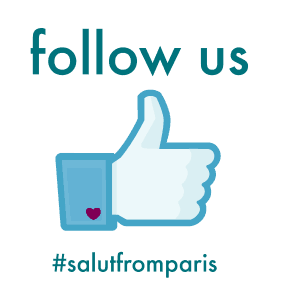 Check out our Montmartre round-up with plenty of insider tips and recommendations. 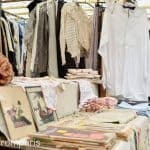 What to do and see in Montmartre? Le Marais on the right banks of the Seine (Rive Droite) is an historic area that was for long the aristocratic district of Pairs. But don’t expect massive monuments, it’s mainly rather a cozy cute neighbourhood with a medieval flair, cobbled stone streets and askew buildings. After the french revolution, the Marais became a popular commercial area and home to one of the main Jewish communities. Especially Rue des Rosiers remained a major center of the Jewish community in Paris until today. Apart from the Jewish community, the Marais hosts also a large Chinese community and is is also center of the Parisian LGBT culture. In short, the Marais is living and open neighbourhood with plenty of bars, restaurant, shops, sights and art galleries. The Marais is one of the nicest locations in Paris. 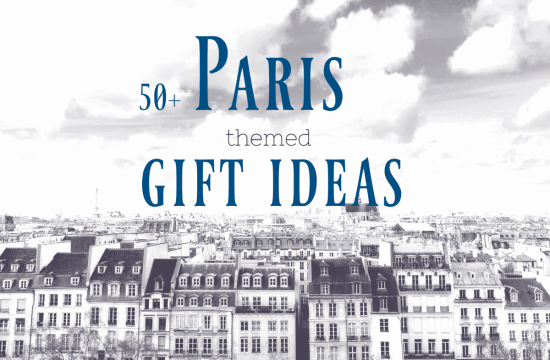 It covers parts of the 3rd and 4th arrondissement and should not be missing on any Paris bucket list. Is the Marais a good place to stay? Yes, it is. The Marais is indeed a pretty cool place to stay and a very convenient base when visiting Paris. 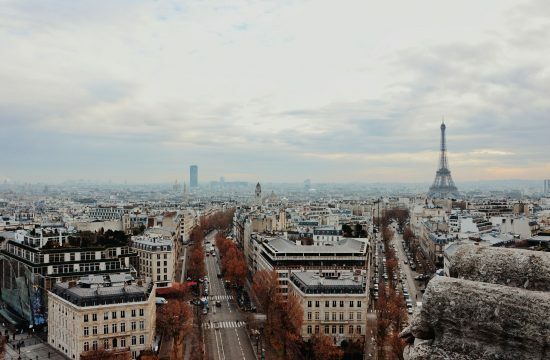 It’s basically located in the middle of the city, very close to many major sights like Centre Pompidou, Notre Dame de Paris, or St. Michel and very well connected to public transportation. 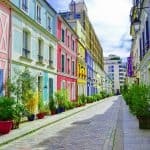 You will feel comfortable in the Marais if you enjoy an energetic neighbourhood, appreciate a huge variety of restaurants, bars and shops and like cute streets. Make sure not to miss anything in this history and sprit loaded neighbourhood and take a guided tour of the Marais – check here for schedules. The Marais lays directly at the Seine, which grants you great evening walks and beautiful views. Notre Dame is within walking distance and so are many other sights. 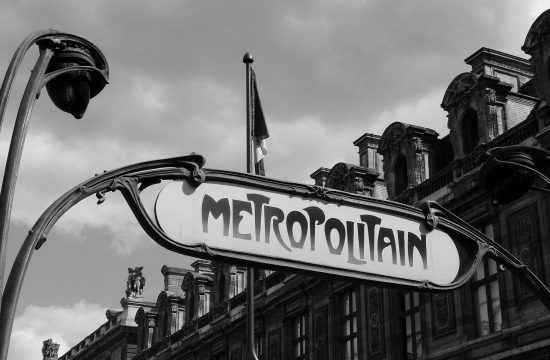 You could spend an entire day with sightseeing without taking the Metro once. This being said, the Marais lays in the center of Paris: all Metro lines have stops near by and you are in no time where every else you want to be. 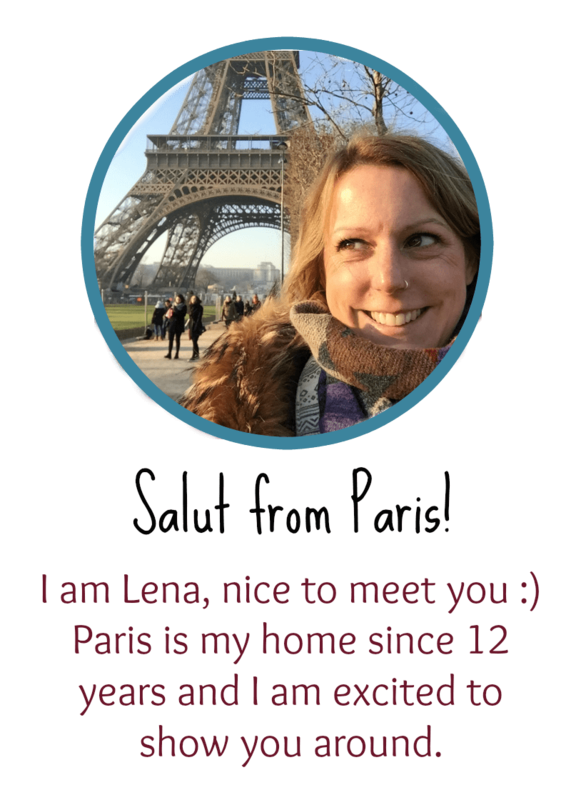 plan your trip and don’t miss any highlight: check out our complete guide of a 3 days in Paris trip! The Marais is a foodie paradise – discover it while taking a food tour through the Marais! 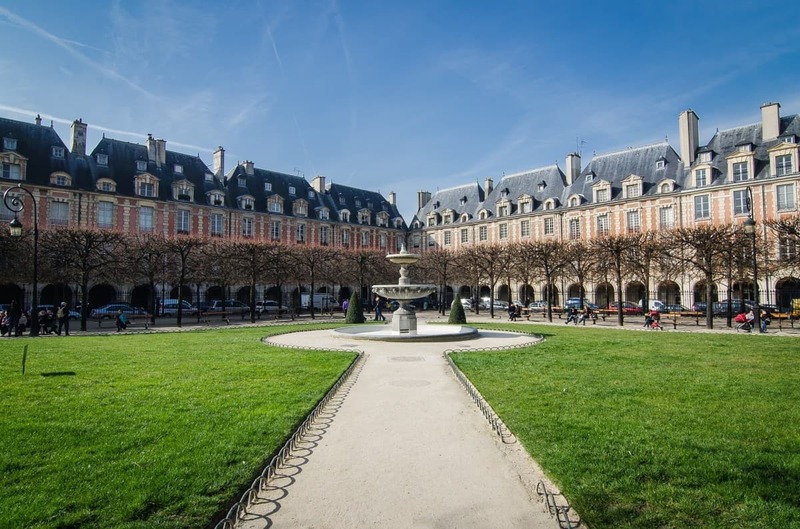 Place de Vosges is one of the aristocratic remaining within the Marais. The Quartier Latin is just a bridge crossing away from the Marais, on the left banks of the Seine. The heart of the area the famous university La Sorbonne, but also the countless other colleges and research center. That strong educational background even served as a name giver: the language of universities during the middle age was latin – hence, the Latin Quarter. However, the district is heavily influenced by students and it’s also one of the most lively area in Paris. What can you expect if you stay in the Quartier Latin? Get ready for a very open and welcoming area of Paris, a vivid nightlife, a high variety of restaurants and great shopping options. 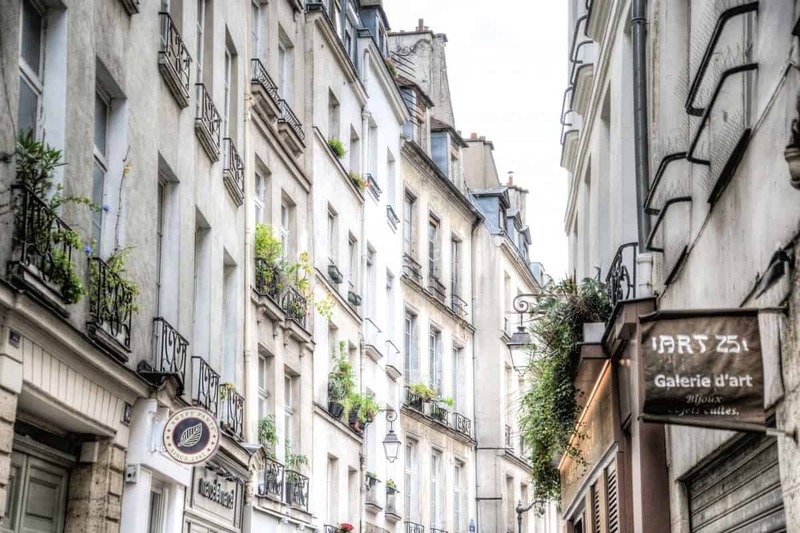 The Quartier Latin is equally popular amongst tourists, students and Parisians – no matter if for shopping, having a beers with friends or eating out. Like the Marais, the Quartier Latin comes with a medieval flair and quite a few cobbled stoned streets. Especially the Rue Mouffetard is worth to visit. It’s one of the oldest roads in Paris and one of those streets in this area, that remained untouched by Haussmann, who shaped big parts of Paris as we know it today. The Quartier Latin is not only a really pretty and “Paris-like” area to stay in, it’s also very central and grants you easy access to the most important sights of Paris. It’s a good location in Paris to explore the city and to profit from easy going night life. As for the Marais, it’s clearly not the most silence area of Paris, especially in summer, when the pub life happens mainly outside. 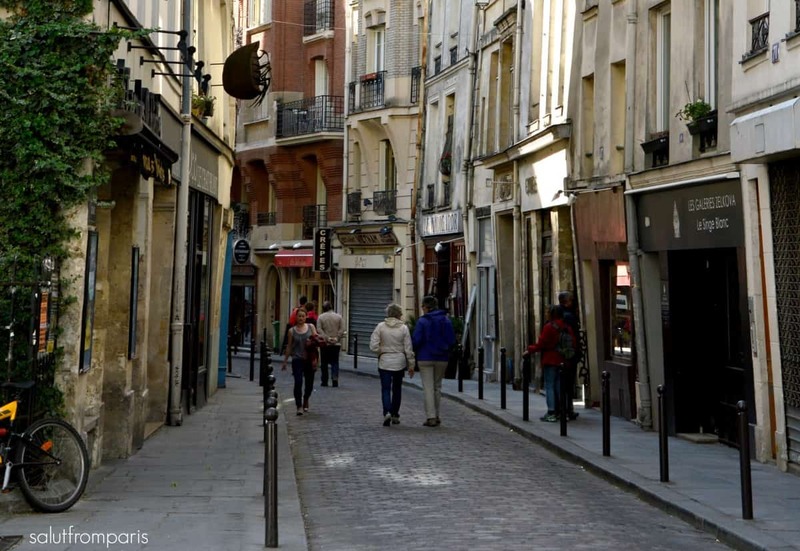 What’s within walking distance if you stay in the Latin Quarter? Arènes de Lutèce (yes, an Arène in the middle of Paris – click to see more secret attractions in Paris!